The Women Lawyers Association of Jefferson County honored two alumna of the University of Louisville School of Law at its 2018 Annual Meeting. 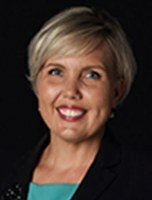 2009 graduate Michelle Browning Coughlin was named the 2018 WLA Member of the Year. She is a partner in Wyatt Tarrant & Combs' Louisville office, where she serves on the Intellectual Property Protection & Litigation Service Team, as well as the Data Privacy and Security and Health Care teams. In 2013, she founded MothersEsquire, which has grown to nearly 3,000 members nationally. MothersEsquire is a networking and advocacy organization that promotes policies and practices that recognize and accommodate attorneys' family needs. 1991 graduate Dustin Meek was presented with the WLA Achievement in Excellence Award. She is a founding partner of Tachau Meek PLC and has worked as a business litigator since graduating from law school. She practices before state and federal trial and appellate courts and Kentucky administrative tribunals. 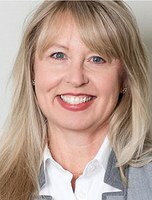 In May 2017, Kentucky Chief John D. Minton Jr., upon recommendation of Justice Lisa Hughes, appointed Meek as a Kentucky Bar Examiner.